When I was researching for Hannah More: the First Victorian (OUP, 2003), my biography of Wilberforce’s friend and the ‘honorary man’ of the Clapham Sect, I was stumped, as her other biographers have been, by the difficulty of filling in the gaps in her early life. 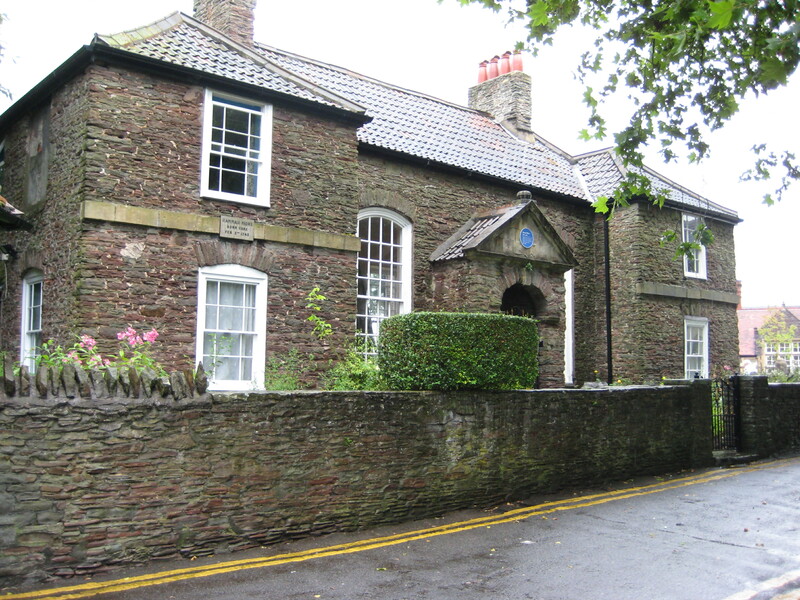 A comparison of the humble schoolmaster’s cottage where she was born (left: Hannah, her parents and four sisters were squashed into the left-hand wing) and the elegant house in Clifton where she died (right) makes it clear that she was a remarkable example of late-Georgian social mobility. The later years are well-documented, but the early life far less so. I looked at the parish records and local newspapers, Hannah More’s letters, and of course consulted earlier secondary works. However, thanks to a meticulously researched and ground-breaking article by William Evans of the University of the West of England, I now know that a lot of what I wrote was inaccurate. For the full article see William Evans, ‘Hannah More’s Parents’, Transactions of the Bristol & Gloucestershire Archaeological Society 124 (2006), 113-30. This is my summary. Hannah More’s father Jacob may be the Jacob More who was baptised in Norwich on 17 March 1699. There is no evidence that he attended Norwich Grammar School, as has frequently been asserted, but he may have been educated at a similar institution. The story that he lost money because of litigation over a large estate at Wenhaston cannot be corroborated. There was probably no such estate. It has not been possible to corroborate the statement of More’s early biographer Henry Thompson that Jacob More was a supervisor of excise in Bristol as the records for the relevant period have nor survived. He may have held a post of which there is no longer a documentary trace, or perhaps a lower post than that of surveyor. There is no trace in the local records of a Jacob More marrying a Mary Grace, previously believed to have been Hannah More’s mother. However in the records of St Werbergh’s church there is an entry for the marriage by licence on 2 July 1735 of Jacob More and Mary Linch. The Gloucestershire Archives show that Jacob More was appointed master of the Fishponds school in 1743. The records show that he supplemented his meagre income by land surveying and valuing. In October 1751 Silas Blandford, land steward of the principal landowner, Norborne Berkeley, paid him for drawing a map of Kingswood. He was engaged in similar tasks in subsequent years. Hannah More always retained warm memories of Silas Blandford, whom she seems to have seen as a benevolent guardian of her family. Jacob More’s tenure of the schoolmaster’s post at Fishponds ended in recriminations. The trustees kept poor records of the payments they made. In 1782, a time when Jacob would have long finished teaching, he was still receiving a salary and he and his wife continued to live in the schoolhouse. Jacob was meant to be paying a shilling a week to each of the two widows who lived in the other wing of the building, but he was paying it to only one. On 26 April 1783, shortly after Jacob’s death, his eldest daughter, Mary, by then a respected schoolmistress, wrote to the trustees of the school to defend her father from the charge of misappropriating the trust money. Her letter contained several inaccuracies, either innocent or intentional. Evans has unearthed some intriguing information about Hannah More’s mother’s family. Mary Linch (Lynch) was baptised on 29 January 1718 at Stoke Gifford. The Lynches were an established family in the parish. In 1747 Mary’s sister Susannah married as her second husband a carpenter, John Grace (so this is where the name Grace comes in!) at Olveston, a parish five miles from Stoke Gifford, and gave birth to eight children. I note in my book Hannah More’s reference to the death of her ‘poor afflicted aunt’ in 1794. It is possible that Hannah More commissioned her memorial stone, a gesture she did not accord her parents. These findings raise the intriguing question of why Hannah More, whether intentionally or not, obfuscated the details about her family. By the time she was middle-aged, she was mixing with the gentry, the aristocracy, and even royalty. Perhaps she did not wish to be reminded too much that she was the daughter of a poor schoolmaster, who could not keep accounts and might even have defrauded a poor widow of the meagre sum that was owing to her. In the wake of the film ’12 Years a Slave’, the Observer has published a timely article about Britain’s economic ties to the slave trade and slavery. The article focuses on Bristol in particular, where the historian Madge Dresser has done such valuable work, and one of the families it names is that of John Pinney. What isn’t so well-known is the link between the Pinney and Wilberforce families. This precipitated a particularly traumatic family crisis in 1827, which I set out in detail in chapter 14 of Wilberforce: Family and Friends. By the late 1820s William and Barbara Wilberforce were spending a considerable amount of time in Bath. They went there for his health, but for Barbara it was also a pleasant opportunity to revive memories of her girlhood. She and her husband had met there in the spring of 1797 and had married within six weeks of their meeting. On their trips to Bath the couple were accompanied by their only surviving daughter, Elizabeth, born in 1801. Elizabeth was a lively, intelligent girl, but she often experienced poor health and was prone to depression, which might have been an unconscious reaction to her constrained life-style. While the lives of her four brothers were expanding, she seemed to be going nowhere. 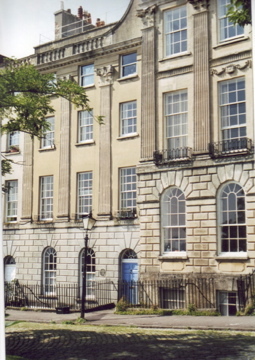 In Bath, the Wilberforces became friendly with two widowed sisters, Elizabeth Baillie and Mary Ames. Mary Ames had married into a well-known Bristol banking family, and her late husband had been a partner with her younger brother Charles Pinney in the firm of Pinney, Ames & Co. The sisters occupied themselves with good works and seemed an exemplary pair to the Wilberforces. Who was Charles Pinney? He was the third son of the Bristol merchant, John Pinney, who was the owner of a substantial slave estate in Nevis. Charles had been born in 1793 in the house in Great George Street now open to the public as the Georgian House. He had inherited his father’s business skills and when John Pinney died in 1818 he inherited the Bristol house, the Nevis property – and the slaves. Some time in the mid-1820s he met the Wilberforces probably through their common friend, John Scandrett Harford, the owner of the nearby Blaise Castle. In April 1827, while the Wilberforces were lodging at no 3 Queen Square Wilberforce was approached by Pinney, who asked him for his daughter’s hand in marriage. With what seems like astonishing naivety, Wilberforce responded sympathetically. In his letter to Pinney he discussed the possible marriage settlement but made no mention of his prospective son-in-law’s substantial interests in the West Indies or in the fact that he was also involved in granting mortgages to planters in need of funds. This was worse even than being a slave-holder as he was involved in slavery at a distance and had no control over the working conditions of the slaves. The day after Wilberforce in effect agreed to the marriage, he received a blistering letter from his fiery abolitionist brother-in-law, James Stephen (great-grandfather of Virginia Woolf) which distressed him so much that he became ill. Suddenly the marriage did not seem such a good idea. Barbara suggested that the family travel to Rothley Temple in Leicestershire to consult the family oracle, the evangelical landowner, Thomas Babington. A week later they set off. Of course in theory the choice rested with Elizabeth. At the age of 26 she had the legal right to make her own decision. But what could she do? After listening to Babington, Elizabeth broke off the relationship. As her mother put it in an apologetic letter to Mary Ames, she could not destroy her father’s peace of mind. Wilberforce noted with relief in his diary that she did not seem too troubled by her decision, but the next day he had to report that she had been confined to her room all day with a headache. The crisis was over – but not without its casualties. Elizabeth’s thoughts on the subject have not survived, but it must have been an extremely distressing time for her. In a somewhat petulant and ungracious letter, Charles Pinney accepted that the engagement was over. However, he continued to see himself as a wronged man. In her excellent Slavery Obscured: The Social History of Slavery in an English Provincial Port (Continuum, 2001), Madge Dresser suggests that his courtship of Elizabeth was self-interested, as he was a member of the West India Association, which was in the midst of conducting a transatlantic campaign to undermine the emancipation programme. In the general election of 1830 he was to help defeat the anti-slavery candidate, Edward Protheroe. In the following year he became mayor of Bristol and married the daughter of a Wiltshire landowner. This proved a bad year for him, as he lost control of the city during the Bristol riots and was tried (and acquitted) for neglect of duty. When slavery was abolished in 1834 he claimed about £36,000 as his share of compensation. There was no happy ending for Elizabeth. Following the example of her godmother, Hannah More, she immersed herself in philanthropy, visiting the cottages of poor people and possibly undermining her own health in the process. In January 1831 she married a clergyman, the Rev John James of Lydney, and went to live in his poor Yorkshire mining parish at Rawmarsh. By this time she was already suffering from a hacking cough. In October she gave birth to a baby daughter, Barbara. She then went rapidly downhill and died in the Isle of Wight in March 1832. The sad story of Elizabeth’s abortive courtship tells us a number of things. It shows us Wilberforce’s declining mental powers – he was to die six years later – that led him to take his eye off the ball and sanction a marriage that would have disgraced him in the anti-slavery community. It also shows the close links between abolitionists and the slave-holding community. In the tight-knit society of late-Georgian Britain it was not possible for these two communities to live discrete lives apart from each other. They were bound to come into contact socially and to get on with each other as best they could. Wilberforce’s friend Hannah More also had an intriguing personal connection with the French Revolution. 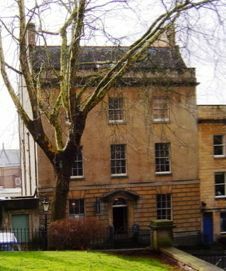 As she told her friend Eva Garrick, widow of the great actor-manager, David Garrick, in the early years of the Revolution, two French sisters had been teachers at the school in Park Street, Bristol, run by More’s sisters. The young women were ardent revolutionaries. (See Anne Stott, Hannah More. The First Victorian, Oxford, 2004, p. 151.) When one of them, Félicité Dupont, left the school and returned to France, she married , Jacques-Pierre Brissot. 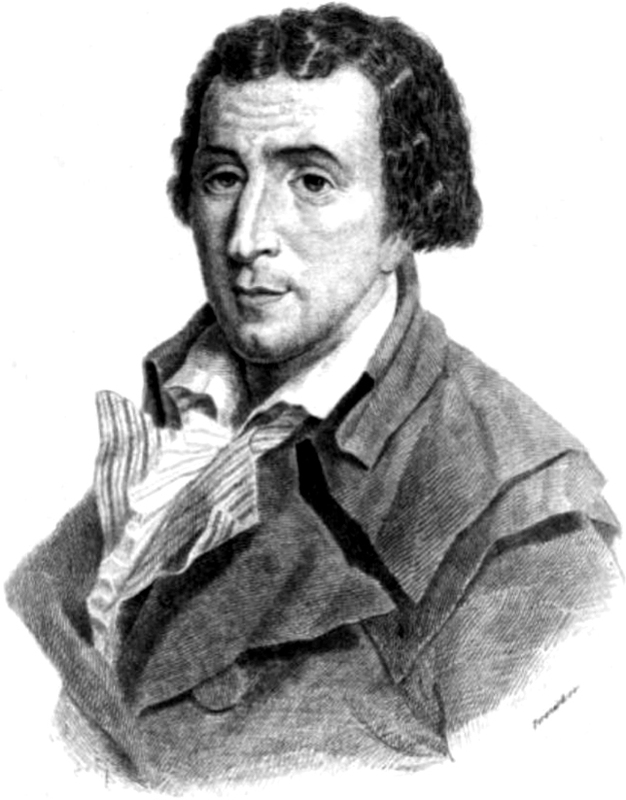 Brissot subsequently became the leader of the moderate Girondin faction in the revolutionary Convention, and he was guillotined in October 1793 (the same month as Marie Antoinette). I wonder if any French scholars are aware of the relevant letter in the Folger Shakespeare Library, Washington DC (W.b.487, fo. 87, Hannah More to Eva Garrick, 21 November 1793), which shows Félicité’s links with Bristol.